Within the department, the so-called Image Analysis Group carries out research in the field of imaging and image analysis, especially bioimaging and biomedical image processing, analysis and modeling. This includes the analysis of spatio-temporal ultrasonic image sequences for cardiovascular research and light- electron- and fluoroscence microscopy images for neuroscience research. The group is also developing advanced image analysis and laser diagnostic procedures for combustion research. The Image Analysis Group is collaborating intensively with research teams at the Medical Faculty, Göteborg University and with the Depts of Mathematics and Physics, Chalmers University of Technology. International collaboration includes Cambridge University, Imperial College in London, Toronto University, New York University, Ecole Nationale Supérieure des Télécommunications in Paris, Johns Hopkins Medical School in Baltimore and Wake Forest Medical School in Winston Salem. In November 2005 Prof. Tomas Gustavsson (who has since left Chalmers) and his research group received SEK 1 million as a two-years grant (2006-07) project coordinator) from Sida’s Developing Country Research Council for a project titled ”Computer-aided oral cancer screening and education in India”. More information about the Sida grants 2005. The project aims at creating new technological devices to discover oral cancer in an early stage, in collaboration with dentists. The key person in the project is Dr. Artur Chodorowski, who has developed the equipment being used for oral screening (which was also the issue for his doctoral dissertation, defended in the year 2000). Another member affiliated to the Dept. of of Signals and Systems is Shantanu Padhi (photo to the left). Prof. Gustavsson, Dr. Chodorowski, and Dr. Padhi all participated in a meeting with Lars Eklund and Sidsel Hansson from SASNET, held at Chalmers on Friday 18 April 2008. More information about the meeting. In 2003 the research group was approached by Prof. Chitta Choudhury, working at the Institute of Health and Community Studies at Bournemouth University, UK, and also at the A.B. 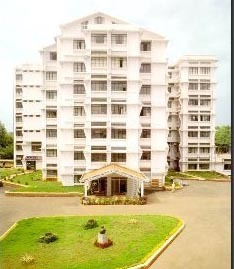 Shetty Memorial Institute of Dental Sciences (ABSMIDS), in Mangalore, India (photo to the right). Prof. Choudhury got interested in the research at Chalmers, as oral cancer is very common in India, 30 % of all cancer patients suffer from oral cancer. One explanation for this is said to be the wide-spread use of chewing pan/betel nuts in India. The project includes that the Swedish researchers go to Mangalore and install the screening equipment with computers and cameras, and teach dentists and dental assistants to handle the new technology. More information about the project(in Swedish). • Implement a national pilot survey in India aiming at developing a model for cost-effective screening and education program for South and Southeast Asian countries. • It will be considered a powerful evidential adjunct to support motivational program for quitting of personal habits among millions in India and regional countries. • The computer-aided diagnosis and screening will get accreditation from international learned organizations like WHO, if the project is extended to the country-in-need. • The proposed diagnostic system is based on inexpensive registration technique, which means that it can be easily adopted by developing countries. • The project will strengthen the (Indian) national Oral Health System, in accordance with WHO recommendations and United Nations‚ millennium health-related goals. (Mexico City, Nov 2004, see http://www.who.int/rpc/summit/en). In August 2008, Dr. Artur Chodorowski received a SASNET planning grant for a project titled ”Pattern Recognition methods for early detection of precancerous oral lesions in South Asia”. The planning grant will be used to extend a previous SIDA project run during 2006 and 2007. The extension consists of including histological image data into the diagnostic system and establishing a new collaboration with additional South Asian researchers and institutions. More information about the 2008 SASNET planning grants. Project abstract: The objective is to develop a computer-aided diagnosis system for detection of potentially precancerous oral lesions. The input data will primary consist of true color and multi-spectral images of oral cavity, combined with histological images of suspicious tissues and possibly molecular investigations. The data will be collected in a database over commonly prevailing oral lesions, and will serve for inferring reliable decision and classification rules. The system will support the practicing oral experts and dentists with an additional opinion statistically derived from the collected data. The Indian side stands for data collection and histological investigations, and the Swedish side contributes with signal analysis and machine learning methods. The South Asia, and in particular India, suffer most from the oral cancer in the word, and the system will hopefully contribute to early detection of precancerous lesions and decrease the oral cancer mortality rates.